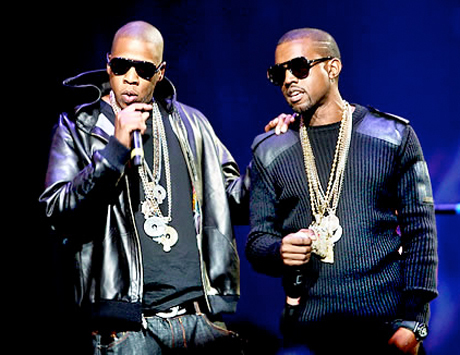 Fans of Jay-Z and Kanye West probably already know that the two mega-famous rappers have a bit of a gimmick going where they play "Niggas in Paris" multiple times during each show. Well, last night (December 18) their tour wrapped up at Rogers Arena in Vancouver, and the duo broke their personal record. Hova and Yeezy closed out the show by performing the track a whopping 11 times, beating their personal best of ten from Los Angeles. You can watch some poor-quality video of the incident at the bottom of this page. This is pretty hilarious stuff, especially if you weren't there in person and didn't have your time wasted by this exercise in self-indulgence. If these two ever tour together in the future, here's betting that they are completely sick of this track and never play it again.